1. Cheap flights Solo - Denpasar Bali: start at THB 1218. 2. Cheap flights Semarang - Denpasar Bali: start at THB 2393. 3. Cheap flights Yogyakarta - Lombok: start at THB 1989. Looking for a cheap flight from Yogyakarta to Denpasar Bali (JOG-DPS)? Flights fares for Yogyakarta to Denpasar Bali start at THB 1405. Find the best and cheapest flights on this route and other relevant information. Be aware there is a time difference of 1 hours: The time in Yogyakarta is 1 hour earlier than the time in Denpasar Bali. 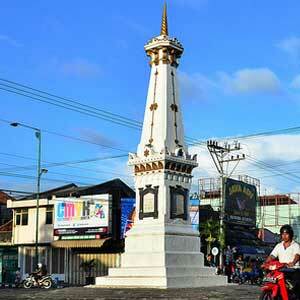 The timezone for Yogyakarta is: UTC +07:00. The local time now: 03:32:37. 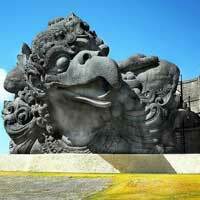 For Denpasar Bali the timezone is: UTC +08:00 and the local time now: 04:32:37. The cheapest price for flight from Yogyakarta Denpasar Bali is THB 1405.